It's that time again! 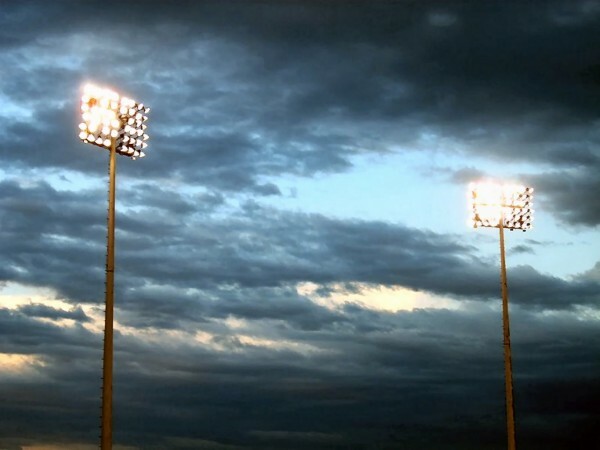 We will be continuing the our Friday Night Lights series this week and you won't want to miss it. The workout will be epic and the community will be out in full-force. Bring your cheering section along and kick off the weekend with a good workout. Happy Hour will follow and it is much happier if you bring along appetizers and drinks to share. Warm up will start at 6 PM sharp. The workout is for members only but we will be set up to accommodate more than the usual 10-athlete limit. Please arrive by 6 PM if you plan to workout. We will have regular classes throughout the day, but encourage everyone to hit the 6 PM if possible on Friday. FNL will also be your last opportunity to pre-order the much sought-after Catacombs Hoodie. The sign up sheet is at the front desk or you can email tom@crossfitcatacombs.com with your order or questions. If you want a hoodie, you have to pre-order it. They are $55 each and we can bill your account or you can bring cash or check. Older PostCan you feel it in the air? It's HOODIE TIME!